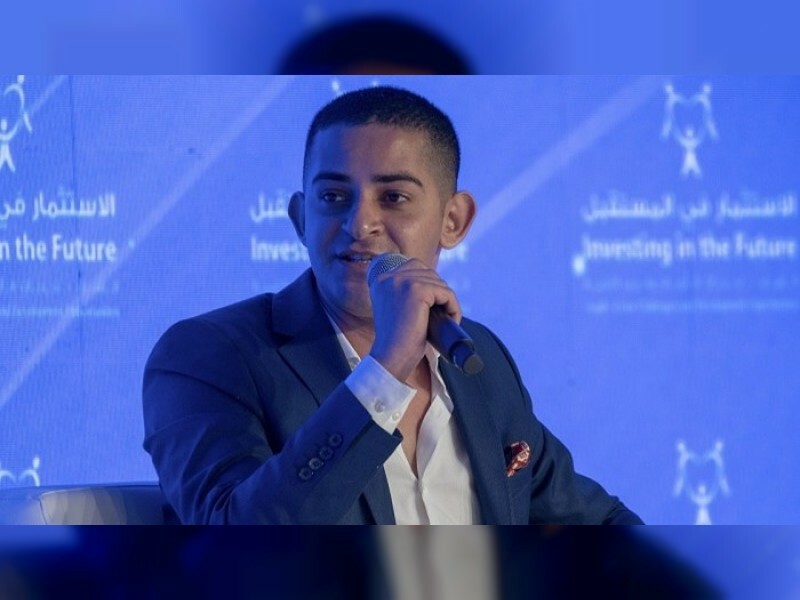 SHARJAH, 24th October, 2018 (WAM) -- The third 'Investing in the Future' (IIFMENA) conference under its banner ‘Youth - Crisis Challenges and Development Opportunities’, has witnessed key solutions to integrate refugee youth with the help of education to become useful citizens for themselves and for their host countries, at a panel discussion titled ‘Youth in Conflict & Peacebuilding’, held on the first day of the conference Wednesday with a key conference partner, UNHCR. Continuous war and tumultuous political situations have exposed the youth to unprecedented vulnerabilities in the MENA region. For many of them, seeking asylum with extremist organisations who lure them with a better future has only been the way forward. Speaking at the panel was Ambassador Mohamed Abdi Affey, UNHCR Special Envoy, who emphasised the role of media in galvanising support for these displaced groups. He said, "When these conflicts become protracted, the media shifts its focus". He further added: "80 million people are displaced by circumstances, not by choice. Half the refugee population is below the age of 18. Therefore, the first solution is to educate this population. If you don’t educate them, they become hopeless and dangerous." Abidi emphasised on the need to invest heavily on education for this population so that in future they can contribute to the host countries as well. He further said, "Give them skills in the form of education that will help them become useful citizens." One of the other findings during the session was that international communities like UNHCR (the UN refugee agency) need to understand that they have to support host countries who often suffer from underfunding. Adequate monetary support to governments of host countries will lead to increased asylum space for refugees. Additionally, they need to be integrated while designing national plans. All panelists concurred that the UAE is one of the most generous donors in terms of official contributions. Globally, only one percent goes towards conflict resolution. Simon O’Connell, Executive Director of Mercy Corps, emphasised on promoting social cohesion. He said, "There is a need to address grievances. Second, humanitarian organisations need to strengthen governance and finally, to prioritise youth in providing growth opportunities." The session addressed that on one hand there is fragility and greater disparity, and on the other, there are greater opportunities and more mobility now. Opportunity through technology can be used to build a social fabric that will promote sustainable growth. Connell added: "In many vulnerable states adolescent girls are financially active, and we should try to stimulate financial literacy in such areas. That’s how you get sustainable, lasting transformational change." Speaking at the event was also Chaker Khazaal – once himself a refugee – and a reporter now who summoned philanthropic organisations to highlight the creative work done by refugee populations. He said, "Change the narrative of anger and hate. Our former generations were refugees at some point or the other. It’s a common suffering that one goes through, so let’s eliminate the negativity from this narrative. Let it be replaced by human hope". The session concluded with an aim of charting an effective road map for investing in the future of youth around the world, and specifically in the MENA region.